be in accordance with the requirements of standard detailed below. Certification procedures and it is remain valid subject to annual surveillance audits. 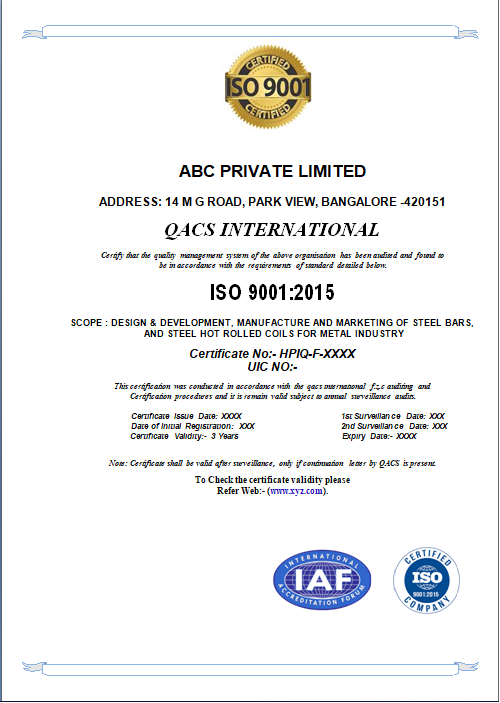 Note: Certificate shall be valid after surveillance, only if continuation letter by QACS is present.